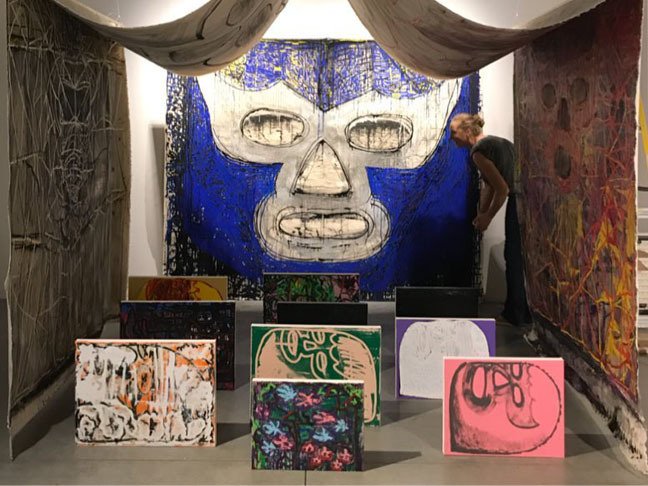 Ghosts and Venus by Maximiliano and the collaborative trio of Rise x Fall shows just why the Littman Gallery continues to be one of the Portland metro area's most challenging art spaces. Most of Portland's University galleries are pretty conservative in their embrace of liberal values (more Hillary than Bernie or Ocasio-Cortez) but the fact that the Littman is programmed by PSU's students means it is closer to its student body and Portland's far more progressive citizenry. Here in another multimedia exhibition Maximiliano's still developing work explores the gauzy liminal veils of understanding between gender identity, the USA's Imperial posturing and its citizenry's somewhat haunted interface with society's so called norms. "Rise x Fall is an ongoing collaborative series of both video and live performances by Maxi Miliano, Ruben Marrufo and Jaleesa Johnston. 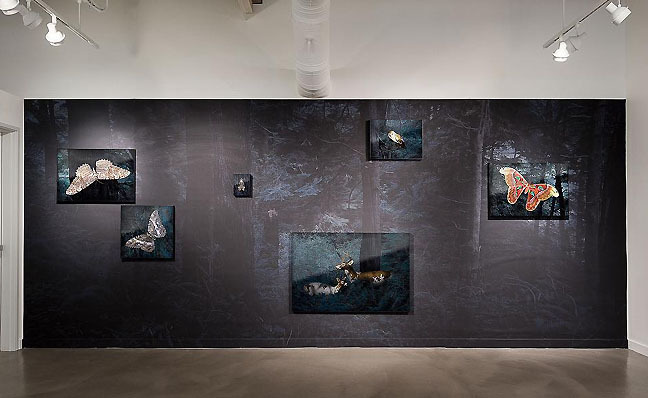 Using the veil as an indicator of otherworldly presences, rise x fall explores the liminal terrain of transition, between stability and instability, and the rise and fall of empire. Taking inspiration from the crashing of the waves against the earth, this piece inhabits a space of the simultaneous pain and fear of death, as well as the hope and growth of rebirth." I Say, "Radical!" You Say, "Feminist!" is one of those shows about gender, identity and the human body that you'd think had been done a million times in the Portland area, but in fact I havent seen this sort of edgy survey of artists working in the subject attempted in a very long time. Way to keep a keener edge 'Couv and people who are really fired up should find it to their tastes. At the Archer you will find a who's who of up and comers as well as experienced guides like: Roz Crews, Kelly Bjork, Wynde Dyer, Emily Endo, Alexa Feeney, Klara Glosova, Junko Iijima, Tyler Mackie, Victor Maldonado, Patricia Melton, Matthew Offenbacher, Alyson Provax, Kelly Rauer, Maggie Sasso, Paul Mpagi Sepuya, Ann Leda Shapiro, Naomi Shersty, Alisa Sikelianos-Carter, Anthony Sonnenberg, Alexander Wurts. Though to tell the truth they could probably restage the show every year for 5 years without using the same names. The thing is the show seems to be actually curating work that invigorates and bounces off each other... none of the old, "who can humblebrag the best" that has become a cul-de-sac of tepid liberal elite thinking. With today's news nothing could be more relevant than visiting this show. Arguably the strongest and easily the most extensive exhibition in Portland this month is Loss of Material Evidence by Mark R. Smith and Maria T.D. 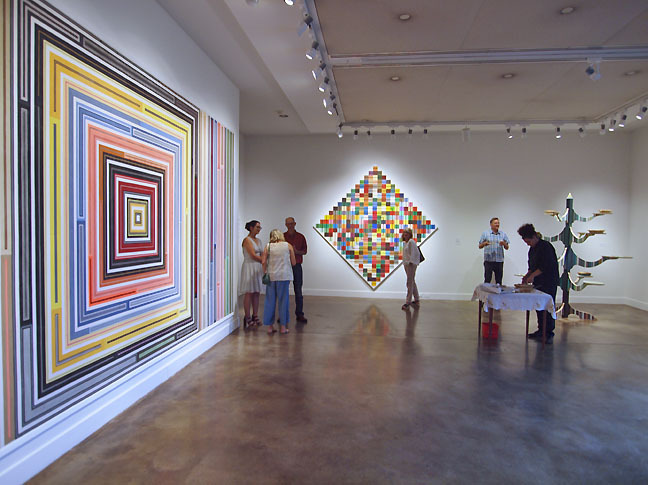 Inocencio at Lewis and Clark College's Hoffman Gallery. It is a tour de force in material as memory and pattern as personality translated via sustained activity/interaction with family members and other loved ones. This exhibition successfully goes into places where contemporary art often fails, specifically the persistence of the personal and the building of meaning. It doesn't hurt that the two artists themselves constitute a family unit but I also appreciate how they both integrate and separate their individual voices. Perhaps, one can think of this as a memorable Thanksgiving dinner? For myself that what this constitutes, an extensive extended family feast... with all the simmering conflicts and savored time spent in reminiscence. Overall, the Hoffman Gallery serves up a meal of materials and one collaborative piece Perennial Host even served up fresh apple pies at the opening. That's pretty down home. I'll write a much longer review but this show starts strong with Time Tunnel and builds to two of the most brilliantly expressive works Portland has seen in years. This show deserves to be seen several times and is perfectly timed for the Fall season.